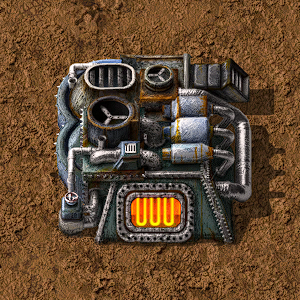 The electric furnace smelts items at the same speed as a steel furnace, and also have two slots for modules. However, it is slightly larger than the other two tiers of furnaces; it occupies a 3×3 area instead of a 2×2 area. Now has the same smelting speed as the steel furnace.